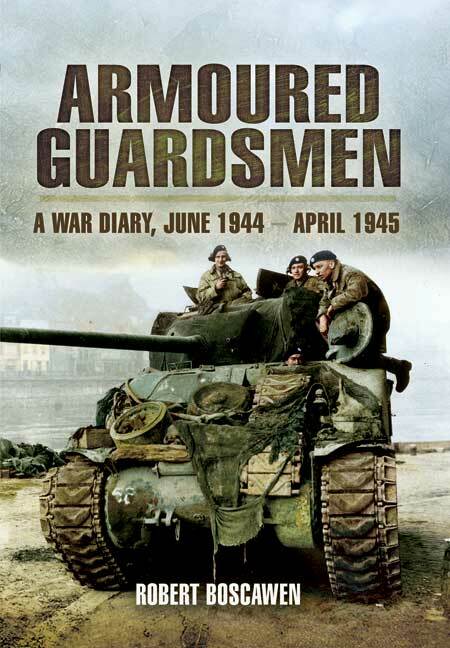 You'll be £12.99 closer to your next £10.00 credit when you purchase Armoured Guardsmen. What's this? In defiance of the regulations, Bob Boscowan kept his daily account of his war from Normandy through to Germany where, seriously wounded, he was the sole survivor of his tank crew. In between he witnessed fierce fighting, including notable successes and costly failures. He had four tanks shot from under him. It captures the spirit of comradeship, the joy of success, the bitterness of loss and the dangerous thrill of action. This is a stirring record of frontline action during the final year of War. The book takes the form of a diary it tells the author's story in a most readable yet matter-of fact way. It is one of the finest accounts of armoured warfare that I have ever read and I have no hesitation in recommending it to anyone who has not. The hardback edition of the book was well reviewed by The Tank some time ago and I am delighted that the publishers have decided to bring out a cheaper paperback edition that will reach a wider readership. is a gripping tale that mirrors in many ways the experiences and sacrifices made by an earlier generation. A war diary may sound boring when written, or typed, onto a page, however, with Robery Boscawen's thrilling story it is another matter altogether. This spine chilling account of what it was truly like in the Coldstream Guards Tank Troop by Robert Boscawen really makes the reader see the scary side of life as part of the tank troop. However, this book does not only include what it was like for one man, but what it was like for many men, some classed as friends and some just fellow soldiers, but all with different emotions about the same days a the other soldiers with them. BY being vivid in the details throughout the book it creates a very detailed account of what soldiering was like and how much courage these men showed whilst fighting for their country and how they truly felt about it. Most people think that the people who went to war weren't scared about it; this book shows you otherwise. This book humanizes the soldiers into ordinary people who did amazing things for their families, friends and countries. I like this book due to the fact that it makes you think about what it must have been like for the soldiers and how they actually felt about what they were going through instead of having to guess it or make incorrect assumptions about their feelings. Based on his wartime letters and his acute memory, this book is a rare treat: a well written account of what it was like to serve as a junior rank in the Brigade of Guards during the First World War. A gripping tale that mirrors in many ways the experiences and sacrifices made by an earlier generation and, quite possibly, those being made by today's young officers, most recently in Iraq and Afghanistan.